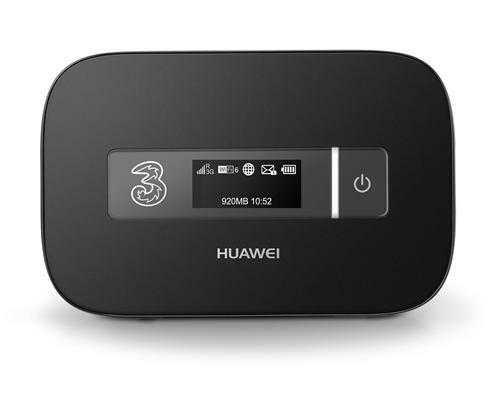 The Huawei E5756 MiFi is now available on Three, and you will be able to get it online from today and in store, on both Pay Monthly and PAYG tariffs. It can either be bought with a one-of cost of £49.99 with a one month rolling contract of £19.99/mo for 5GB of data, or from £79.99 on PAYG, with 1GB pre-loaded. The device goes up to 4G, so it is already read for the roll out. It provides users a secure WiFi on the go, and hence allows you to connect your laptops, tablets, phones, and other devices to the internet, whether on the go, or any where in between. Multiple device support means you can share your internet with friends, family, and even colleagues. Sylvia Chind, Head of Devices at Three said, “As the network built for the internet, we are delighted to bring the first mobile Wi-Fi device with DC-HSDPA technology to our Ultrafast network. With this new pocketable MiFi®, people can enjoy faster speeds when sharing pictures on Facebook, sending work emails on train journeys and connecting their children’s games console to the internet on a long car journeys”. Apart from the features above, this also gives you a screen which lets you know about your consumption, battery and mail alerts.